During the months of March and April 2013 the Polk County Sheriff’s Office Criminal Investigation Division received several complaints of burglaries in the area of Putnam’s Landing and R. Nickerson Road. During the commission of the crimes the suspect forced entry into multiple residences and was captured on camera doing so. On April 24, 2013 the Criminal Investigation Division was able to positively identify the suspect as Billy Wayne Clark, of Putnams Landing, Livingston, Texas. A subsequent warrant was issued for the arrest of Clark. Officers located and arrested Clark on April 25, 2013 in the parking lot of Lowe’s in Livingston. 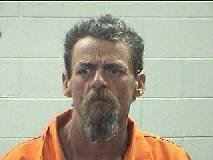 Clark remains in the Polk County Jail under a $30,000 bond set by Justice of the Peace Larry Whitworth. At approximately 1:30 pm on May 9, 2013, detectives with the Polk County Sheriff’s Office apprehended Joseph Jerrard Franklin, 28 of Livingston at the Economy Inn in Livingston, Texas. 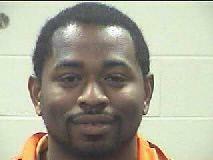 Franklin has been eluding law enforcement in Polk County since an arrest in September 2012. Franklin had a total of six warrants for his arrest. Through Polk County Franklin was wanted for manufacture and delivery of a controlled substance (a felony) and motion to revoke probation. Franklin was wanted out of Liberty County for manufacture and delivery of a controlled substance (felony), bond forfeiture manufacture and delivery of a controlled substance (felony), bond forfeiture possession of marijuana. Franklin also had an arrest warrant though the Texas Board of Pardons and Paroles (TDCJ) for administrative release violator. Also arrested with Franklin was Jeda Denise Burch, 25 of Livingston for hindering the apprehension of a known felon (a felony). On several occasions in the past months Detectives received information Franklin was staying with Burch but could not catch him at her residence. Burch was informed of Franklin’s warrants and warned if she was found to be hiding or assisting him she would be arrested.